Over 2500 years after the city's fall, the Babylon of ancient Iraq is still an evocative name. The stories of the Tower of Babel, the Hanging Gardens, Daniel in the Lions' Den, the madness of Nebuchadnezzar and the "city of sin" still resonate today. But how much do we really know of the original city and the reality behind the myths, traditions, and stories? This lavishly illustrated volume sheds light for the first time on the true wonders of this ancient city and the echoes and images that have grown up around it over thousands of years. Babylon has carried complex and evolving meanings for artists through the ages and the authors bring together a wealth of art works inspired by this ancient city, from medieval manuscripts and major canvases to contemporary digital art. Alongside these later evocations of an imagined Babylon, the authors present the reality of the city: its kings, its history and its amazing structures, such as Nebuchadnezzar's magnificent state buildings with their famous glazed brick reliefs. They investigate the history, culture and religious life of the time, describing the Conquest of Jerusalem and the emergence of monotheism within Babylonian religion. They also demonstrate how ancient Babylon's legacy lives on today--in astronomy, astrology, and the origins of modern calendars and clocks. A final chapter considers the recent troubled history of the site of Babylon in today's Iraq. 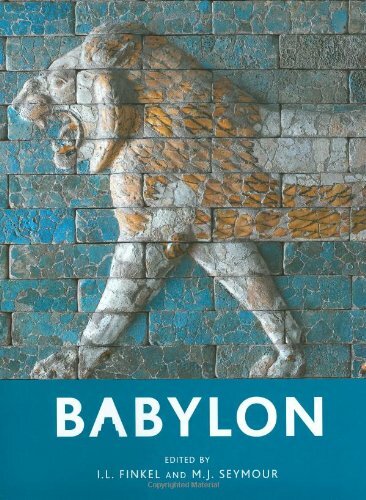 This book is published to accompany the major exhibition "Babylon" at the British Museum and draws on three of the most important collections of artifacts from the ancient city of Babylon, at the British Museum itself, the Musï¿½e du Louvre, and the Vorderasiatisches Museum, Berlin. 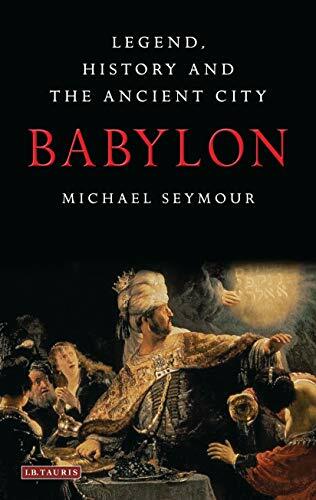 In this ambitious and all encompassing account of how the ancient city of Babylon has been studied, interpreted and received throughout history, Michael Seymour offers an exemplary study in the reception of the ancient world. Multiple manifestations of the notion of Babylon are explored, revealing the extent to which ancient civilisations have been appropriated according to different cultural contexts and priorities. The book presents an intoxicating mix of mythology, interpretation and fact from a wide variety of sources: both textual and visual. Through each of the chapters we see the exciting and complex journey that antiquities undertake once retrieved from the earth in which they were buried. One of the most important findings of the work is the extent to which ancient Mesopotamian culture is shown to have "lived on" in a range of conflicting and successive contexts. 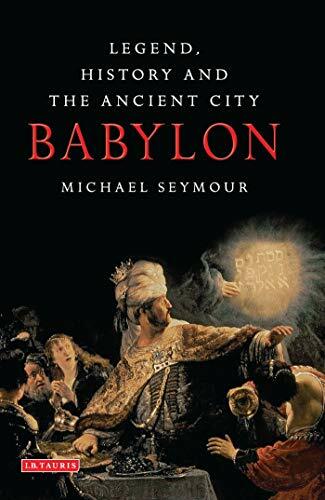 In this thoughtful and probing analysis, Seymour unravels the very idea of Babylon, revealing it to be a complex bundle of meanings and significances. He does a great service to archaeology, ancient history and cultural studies in telling this story of entanglement. The city of Babylon and the idea of Babylon have co-existed as intertwined threads of intellectual and historical engagement for centuries. In the recent past Babylon was an emblem for Saddam Hussein s control over Iraq s past (ancient Babylon), present (reconstructed Babylon), and future (eternal Babylon). Since at least the sixth century BC, and up to modern times, Babylon has been entangled in discourses that transgress the boundaries between history, myth, fantasy and bias, while over the past century scientific archaeology has contributed to the mix. Michael Seymour teases apart the golden threads of Babylon s discourses, tracing each one in meticulous detail before reweaving them into a new and brilliant tapestry, presenting us in this adroit and learned book with a Babylon fit for the scrutiny of our age. Irving Finkel is Assistant Keeper, Ancient Mesopotamian Script, Languages and Cultures, at The British Museum. Michael Seymour is an authority on the ancient world. He was Raymond and Beverley Sackler Scholar at the British Museum for 2006-7.